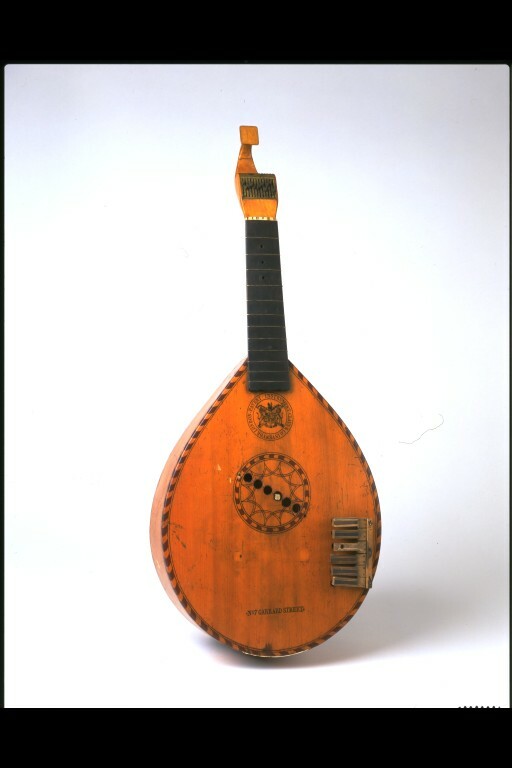 This version of the English guitar was played with keys and felt-padded hammers, a device which Chrisitan Claus, a London luthier patented in 1783 . The English guitar was very popular amongst ladies, and Claus's aim was to produce an instrument that they could play without damaging their nails on the wire strings, and which would make sounds like those of the now highly fashionable piano. 'Body and belly all of pine, with feather branding painted in red. Similarly painted simulated rose containing six diagonally placed holes through which small felted hammers spring out to strike the strings from below. Six small wooden keys on the lower left side of the belly actuate the hammers. Bridge missing. Ebony fingerboard with shaped end and twelve brass frets and three capotasto holes. Watch-key tuning. Finial broken.'. 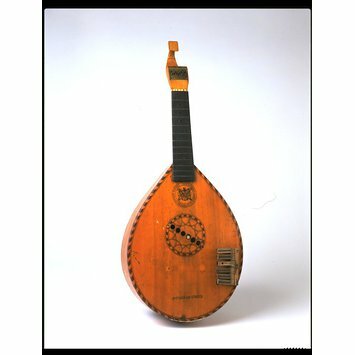 Anthony Baines: Catalogue of Musical Instruments in the Victoria and Albert Museum - Part II: Non-keyboard instruments. (London, 1998), p. 52. Claus & Co. Inventor London, Patent-Instrument. Stamped at base of belly. 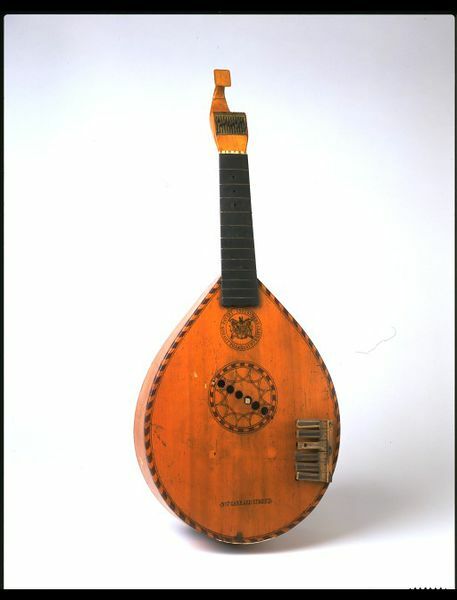 This instrument was given to the Museum by Mrs Symes of Gorphwysfa, Upper Bangor, Wales in 1881.